Spring is just around the corner in the French Riviera. As the summer season begins, the superyachts come out in force for some of the most glittering and prestigious events on the global calendar. Chartering a superyacht for the Cannes Film Festival, the Monaco Historical GP or the Monaco Grand Prix is an unforgettable experience, with a yacht charter at these iconic Cote d’Azur events offering guests an electric atmosphere and a prime position in the centre of the action. This year, watch the celebrities walk the red carpet at the Cannes Film Festival with a film festival yacht charter. Berth your yacht next to the Palais des Festivals for a week of advance screenings, cocktail parties and award ceremonies. The Cannes Film Festival 2016 will run from the 11th-22nd of May, and M/Y SHERAKHAN is just one of the stunning film festival charter yachts on offer. Sleeping up to 26 guests and accommodating up to 130 guests for sophisticated parties, this grand explorer yacht oozes timeless glamour and luxury – including a stunning dining area, set in a 7m atrium, and an on-board health spa. SHERAKHAN will certainly make an impression at the Cannes Film Festival, and, due to her large capacity and sumptuous interior, is one of the best choices for large-scale accommodation and entertaining. This glamorous event is growing in popularity each year, and it’s little wonder why, with so many Formula 1 cars from bygone days on the track. Held two weeks prior to the Grand Prix, the Monaco Historic GP follows the same famous course: numerous narrow bends send drivers hurtling through the port with a roar, passing the docked yachts as they go. See pre-war ‘Voiturettes’ and GP cars from before 1939, right through to the Formula 1 cars of the 1970s. Don’t missthe Solo Ferrari race. In 2016, you have the opportunity to charter one of the most renowned charter yachts in the world for the Monaco Historical GP. 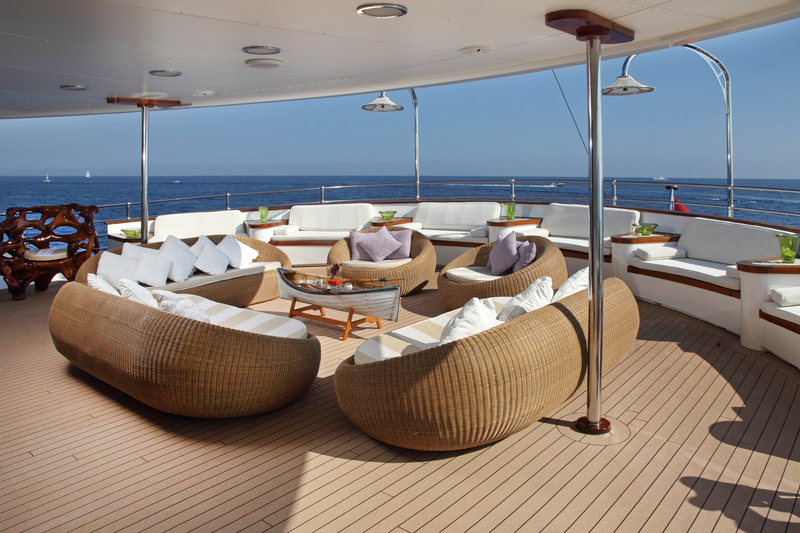 OASIS is a 59.4m motoryacht with an excellent charter record, accommodating up to 12 guests in six palatial staterooms. OASIS can also host stunning parties onboard for up to 100 guests, and is a superb choice for a Monaco Historic GP yacht charter. 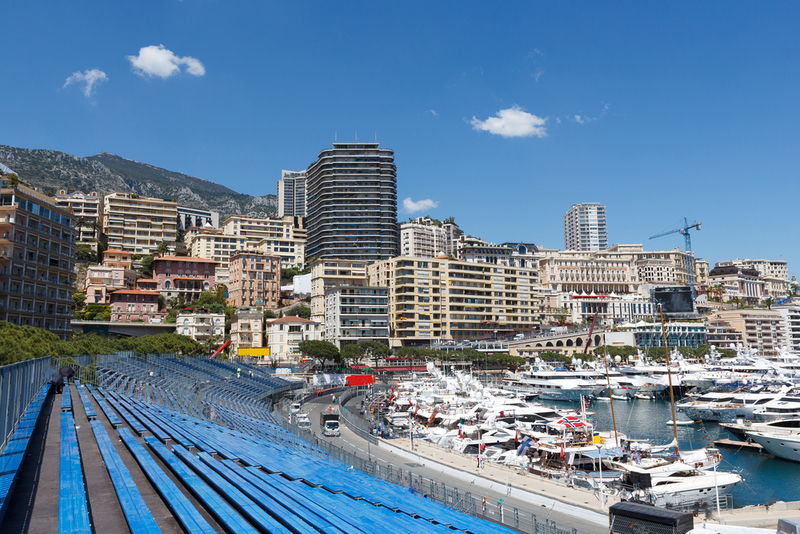 The Monaco Grand Prix is indisputably one of the greatest events on the planet, and a Grand Prix yacht charter is the perfect way to get right into the centre of the action. With a Monaco charter yacht docked in Port Hercules, you have accommodation and a luxurious party venue right on the track, and front row seats as the cars speed past and round the famous Rascasse bend. Soak up the adrenaline, dine in Monaco’s Michelin-star restaurants, and throw glittering parties on the sundeck under the lights of Monaco’s skyscrapers and grand hotels. This year, charter OKTO – a sleek superyacht with extraordinary lines and a stunning grey and black exterior. 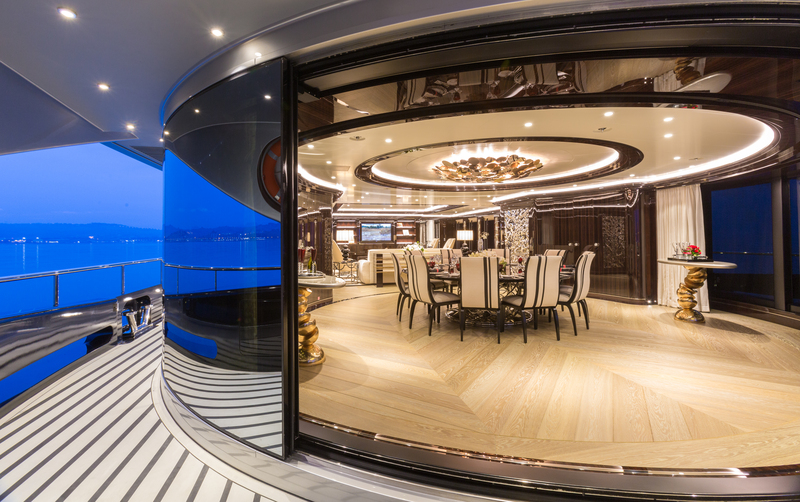 With an interior design by Albert Pinto, a vast Owner’s suite and a 6m salt or freshwater pool, this spectacular and iconic charter yacht will definitely get people talking at the Monaco Grand Prix. 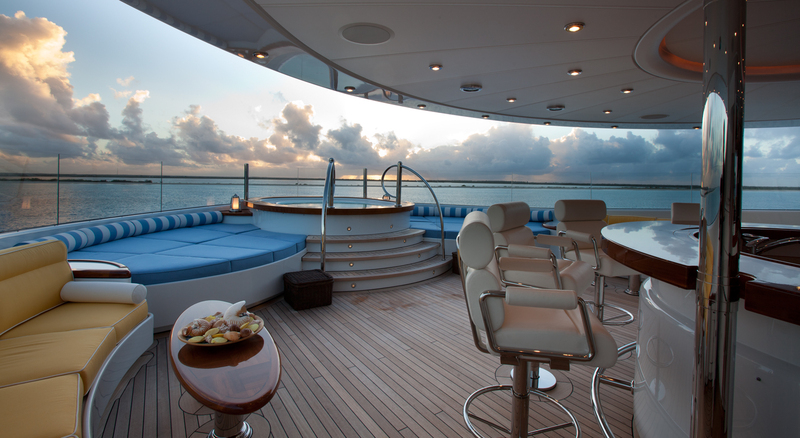 Yacht charters for these famous events are in high demand; contact a charter broker today to secure your preferred charter yacht.